Freshwater Cooling Kit, Mercruiser 4.3 liter LXH, MC319 for 1996-1999 Mercruiser CARBURETED 4.3 LXH engines with Serpentine Belt and Single Piece Exhaust Manifolds. 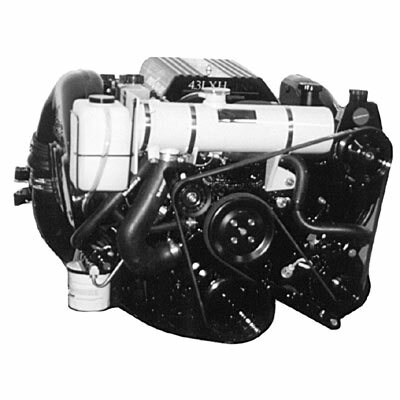 Freshwater cooling system for 1996-1999 Mercruiser 4.3 LXH Chevrolet marine engine Kit includes: heat exchanger, mounts, gaskets,thermostat housing, hoses, hose clamps, hose fittings, & fasteners Fits GEN+ one piece manifold ONLY w/ serpentine belt. Cools block only.